i have amd, i am not sure if i cant test that properly. It works perfectly on amds, you just have to properly set up the minimum instruction set, and you are good to go. i dont see any clear license informations about the conditions of using it on the webpage. serial number validation, drm, 700 usd crap. i would not give one cent for it. also, clang: old versions of clang is capable to compile it, but its tooo slow, binary is significantly slower compared to gcc. 32-bit linux binary was accidentally compiled to my current cpu arch. i added a new binary that only uses pure 6x86 instruction set. planning to create a technology that decrases blocking, creating the feeling that the software runs on a lit bigger resolution. 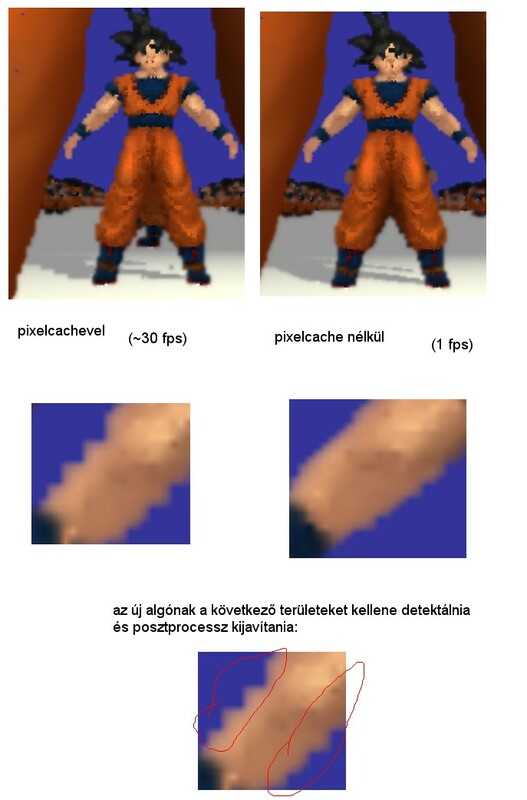 i plan this as a postprocess technique, to solve the uglyness of pixelcache, relying on a special kind of edge detection, to decrase the blockieness of non horisontal/vertical surfaces with some kind of special interpolation. it will not feelably incrase the machine demand, due to it will be postprocess only, but it will maybe incrase the visual detial greatly. Last edited by Geri on Fri Nov 22, 2013 12:29 am, edited 1 time in total.